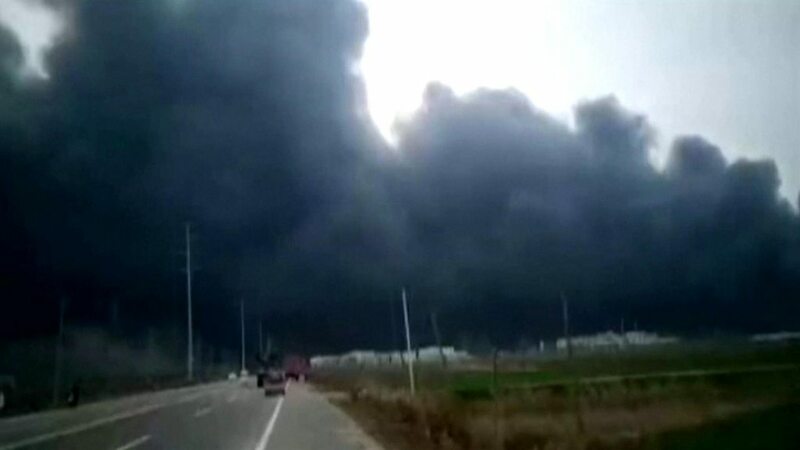 Six people have been killed in a chemical plant in Yancheng, eastern China, local authorities say. China's earthquake administration reported a tremor equivalent to 2.2 magnitude at the time of the explosion. Images on social media showed a fireball exploding at the site, billowing clouds enveloping the area , injured people and damage to buildings.